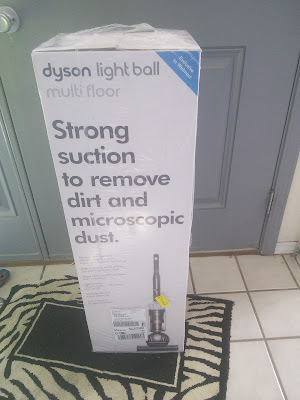 Mom Knows Best : The Dyson Light Ball Is An Amazing Dirt Sucker! Eight years ago I bought my first Dyson vacuum, a Dyson Animal, and it still works great. I bought a Dyson based on great reviews from other bloggers and because it was purple. Yes, I was swayed by the pretty purple color. I am glad the purple color enticed me to buy a Dyson vacuum. It was the best decision that I made. I had owned many other vacuums before my purple Dyson and they did not last more than a couple of years. Those other vacuums also did not perform as well as my Dyson. I will never part with my purple Dyson. Simply put Dyson makes amazing vacuums. My pretty purple Dyson has been replaced today and it is a good thing. Dyson has introduced a new improved vacuum that works even better. I though my old purple Dyson did a great job of sucking up dirt but this new Dyson Light Ball Multi Floor Bagless Upright Vacuum sucked up so much more dirt. I had used my old vacuum a couple of days before my new Dyson Light Ball arrived so I though my carpets were clean, boy was I wrong. I was amazed when I used the new Dyson for the first time. There was an abundance of dirt, dust, and sand in the canister. I live in the desert and when it gets windy the sand flies in the house. There was a lot of sand in the canister which makes me wonder how long it had been in the carpet. I soon discovered that this Dyson Light Ball had other great features beyond strong suction to remove dirt and microscopic dust. The engineers at Dyson also made this vacuum easy to use. I just love how the ball makes steering the machine so easy around and under my furniture. The Dyson is a pleasure to push. I also love that I could use this vacuum on carpet and hard floors. I had the option of turning off the rotating brush with a push of a button. I soon discover that because the suction was so strong, that I needed to turn off the rotating brush to vacuum my floor mats near the doors. The wand had a hose that extended for a very high reach and was great for vacuuming the stairs. It did take me a while to figure out how to place the wand back in place, but after a couple of times of using the extending hose it was easy to put back. The Dyson came with a couple of attachments that stored on the side of the vacuum and are easy to use. Dyson also made it easy to clean the dirt bin of the vacuum. 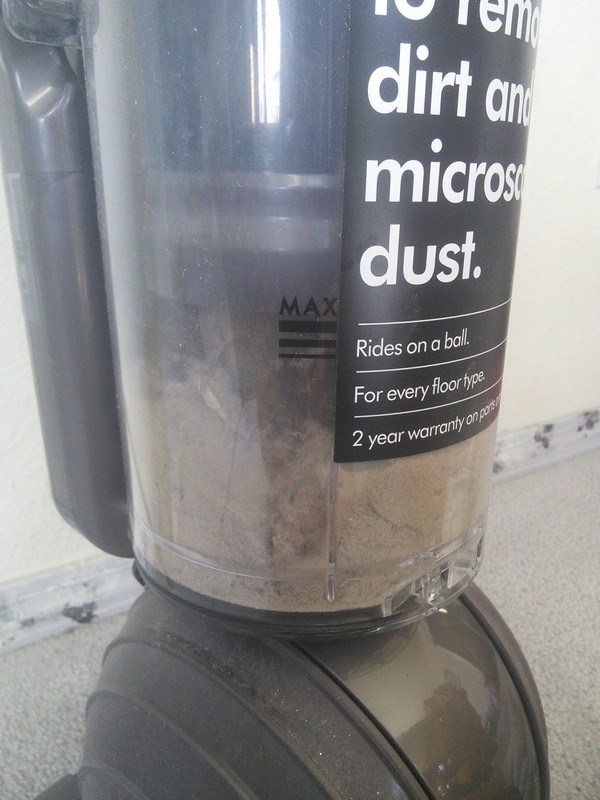 My dirt bin filled up quickly as Dyson cyclones capture more dirt and microscopic dust than any other cyclone. Dyson upright vacuums have whole-machine HEPA filtration, capturing over 99% of pollen, mold, and bacteria. If my Dyson picks up something that is too big to fit though, you can easily take apart the vacuum to find the obstruction and no tools are needed. Dyson also made the 2 filters in the vacuum washable so you don't have to spend money to replace them. · Radial Root Cyclone™ technology: Designed to maximize power. A mesh shroud helps separate large debris, with inner cyclones generating powerful centrifugal forces. Every angle of each airway is honed to ensure microscopic particles like pollen and mold are separated from the airflow. · Testing: Dyson upright vacuums are subjected to 550 tests over 50,000 hours. During development a Dyson vacuum will be dropped onto a hard floor 5,318 times. It will run 847 miles on a turntable rig; the equivalent of being pushed from the Dyson Headquarters in Malmesbury, Wiltshire to Valencia, Spain. · Patents: There are currently 304 patents and 481 pending patent applications worldwide relating to technology used in the Dyson Ball™ range of vacuum cleaners. · Maneuverability: In addition to the motor and filter, ducting, valves and the stand have been engineered into the ball, making it even easier to turn the tightest of corners. · Hygienic bin emptying: Just push the button to release the dirt directly into the bin. · Warranty: The machine comes with a 2 year parts and labor warranty. You just have to see this amazing vacuum in action so you can see how it works. Watch the below video to see me demonstrate the Dyson Light Ball vacuum. 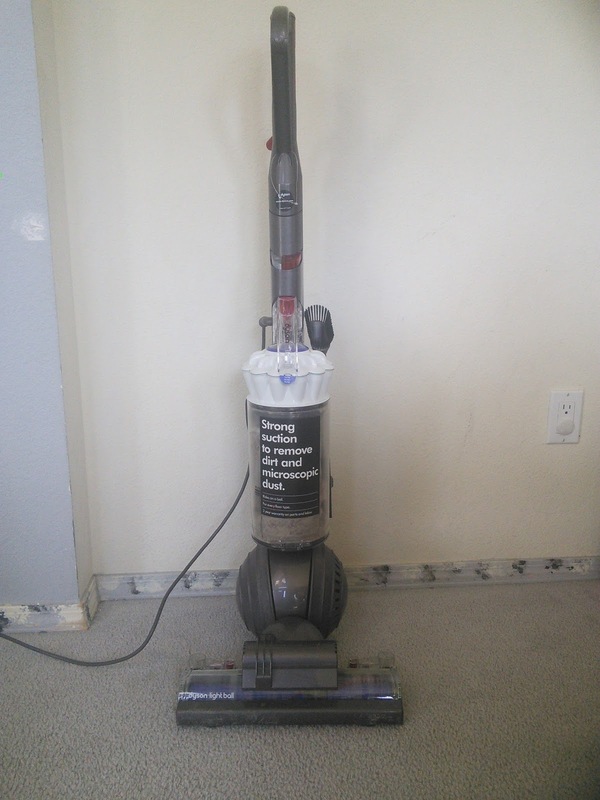 This Dyson Light Ball Multi Floor Bagless Upright Vacuum is sold exclusively at Walmart. Click on the below link for more information. I have wanted a Dyson since, well, forever. I am going to ask for one this year for Christmas! Ive heard good things about Dyson vacuums. Your video really shows how powerful they are. I bet this vacuum would do wonders for our cat dander and pollen. I have always wanted a Dyson. This one looks so cool. How nice! Vacuums make cleaning a lot easier! Thanks for sharing details about this! Have had a Dyson for years now, absolutely love it and it is worth every cent. We are in desperate need of a new vacuum. This one will be competing with another brand I've been looking at. Oh, decisions, decisions! I have a Dyson and I LOVE it. I would recommend them without hesitation! I have been meaning to get one of these for years now! Love the Dyson - I am contantly vacuuming dog hair ! We got a Dyson for our wedding and that was 7 years ago. It's still working great! I totally appreciate how easy this is to dump and get right back to vacuuming! I want one of these so bad! I have only heard good things about this! Maybe one day I will be one of the lucky ones and have one. I really would like one of these. It is on my Christmas list. My old one needs to be replaced. Dyson are really amazing vacuum! Ours is going out so we may be in the market come Christmas time. I've always wanted a Dyson! We have a good vacuum now, but I just know a Dyson would work even better. This is a vacuum I have wanted for a while now. I love that it picks up 99% of dust, pollen, and mold. The washable filters are a plus too. Thanks for sharing the review. Removing a string from your yoyo is quite simple: just grab hold of the string about 2cm above the yoyo and twist the yoyo anti-clockwise until the yoyo string opens up. When you have untwisted enough string it will be easy to pull it over the top of the yoyo.